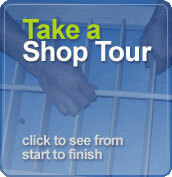 Stewart Shutters is not liable for any repairs if Stewart Shutters did not personally manufacture shutters. 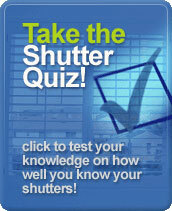 Stewart Shutters will repair any damaged shutter but cannot warranty the item. Due to a big demand in shutters and the strict regulations with the AQMD, shutters are becoming harder to paint. As such, many companies are illegally painting shutters using outlawed paints and solvents. By doing this, there has been an outbreak of problems with re-painting shutters. In turn, shutters taken in for re-painting may face the above problems due to illegally used solvents or paints from past paint jobs. Therefore, Stewart Shutters does not warranty any re-paint on shutters that were not originally manufactured and painted by Stewart Shutters. Stewart Shutters is also not responsible for damages that occur during re-painting processes. Damages such as any type of reaction to the repainted shutters: checking, bubbles, paint lift, fish-eyes, cracking, peeling, delaminating, splintering, melting, or any other type of paint related problems. Additionally, Stewart Shutters is not responsible for damages due to time induced problems for repairs and re-paints. We could not be happier with your services, your outstanding quality of product, and your overall service.